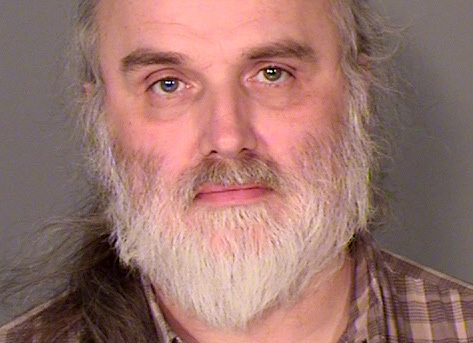 In St. Paul, Kirill Bartashevitch, 52, was up in arms over President Obama’s possible gun control laws. To protect himself from such laws, Bartashevitch went out and bought an Ak-47 rifle. Soon thereafter, he was arrested for pointing the weapon at his high school daughter after she got two B’s instead of straight A’s. There was a reported rush to by Ak-47 and other assault-style weapons after the massacre of children in Connecticut after gun advocates predicted a ban would pass on the weapons. Bartashevitch appears to have been part of that mad rush and, if the charges are true, then found a child to try it out on. During the argument, the girl reportedly told Bartashevitch that she hated him. He allegedly concluded that pointing an AK-47 at her might change her feelings. When the mother intervened, he allegedly pushed her to the ground and pointed the weapon at them both. A friend later received a text message from the girl and passed it along to a social worker. Bartashevitch reportedly admitted to pointing the gun at his wife and daughter but insisted that it was unloaded. That does not change the charges of two counts of terroristic threats. The charges could bring a five-year sentence each. Subdivision 1.Threaten violence; intent to terrorize. Whoever threatens, directly or indirectly, to commit any crime of violence with purpose to terrorize another or to cause evacuation of a building, place of assembly, vehicle or facility of public transportation or otherwise to cause serious public inconvenience, or in a reckless disregard of the risk of causing such terror or inconvenience may be sentenced to imprisonment for not more than five years or to payment of a fine of not more than $10,000, or both. As used in this subdivision, “crime of violence” has the meaning given “violent crime” in section 609.1095, subdivision 1, paragraph (d). Subd. 2.Communicates to terrorize. Whoever communicates to another with purpose to terrorize another or in reckless disregard of the risk of causing such terror, that explosives or an explosive device or any incendiary device is present at a named place or location, whether or not the same is in fact present, may be sentenced to imprisonment for not more than three years or to payment of a fine of not more than $3,000, or both. (2) acts in reckless disregard of the risk of causing terror in another person. (2) “replica firearm” means a device or object that is not defined as a dangerous weapon, and that is a facsimile or toy version of, and reasonably appears to be a pistol, revolver, shotgun, sawed-off shotgun, rifle, machine gun, rocket launcher, or any other firearm. The term replica firearm includes, but is not limited to, devices or objects that are designed to fire only blanks. Well? That’s proper gun control. If he did this he committed a crime and was arrested. artiewhitefox, the “civilian” semiautomatic model of the AK47 is nowhere near “the most destructive hand held weapon he could get …” The AK47 fires a 7.62x39mm, a .30 caliber cartridge, that is rather moderately powered compared to the American 7.62x51mm (,308 Winchester) fired by the M14 and many other rifles and the 7.62x63mm (.30-’06 Springfield), fired by the M1 Garand, the battle rifle of US troops in WWII (etc.). The extra 12mm of the 7.62×51 over the 7.62×39 allows room for much more powder for much more power and velocity (ca. 2,600 ft-lbf vs. .ca. 1,700 ft-lbf). The whole idea of the relatively low power cartridge and rifle is to be able to fire it on full automatic with little if any muzzle rise, particularly when running toward the enemy. The low position of the barrel, which points back at the shooter’s shoulder rather than above, helps with this. The AR15 and M16 utilize similar design: low power and low barrel position. Semiautomatic versions of the AK (and the AR15) gain similar advantages when fired repetitively, though not as apparent as with the full-auto (selective fire) military model. Any semiauto firearm can be fired only as rapidly as the shooter can pull and release, and pull again, the trigger. Naturally, any firearm from .22 BB Cap up is a deadly weapon. People are killed every year with BB (air) guns (ca. 15-25 ft-lbf).. Thank you for correcting me regarding the perceived power of a weapon that I mentioned. When hearing your detailed descriptions of the guns it hits that people see a gun as power. You describe a gun as having power. Therein lies the problem. People think they can solver problems with a gun perceived to have power. Have the illuton of power taken away will mean people will not use it to solve arguments etc. The people that pierced Jesus with a spike thought the mallet was power. driving the spike into the arm of Jesus just behind the wrists. That to is an illusion of power. Why can’t people see that? It is not the power of a weapon as people see it. it is what the weapon does. Gods power makes life. Mans power destroys it. To think a weapon protects anything is a lie. The ungodly religious institutions made people believe a lie regarding weapons. That is why that guy bought the most destructive hand held weapon he could get his lightless hands on. That is what my assistant, Jennifer Mascia, and I did last week in compiling the stories for today’s column. The column gives only the smallest of hints as to how many shootings there are on any given day; my guess is that even Google doesn’t find them all. To give you a fuller picture, we’ve reconstructed the Google search for “shooting” from Monday to Saturday last week. Since the Newtown shooting on December 14, the United States has suffered 18 gun deaths per day, for a total of 1,330. In case you were wondering. For real. So when do we cause a commotion that brings out these forces against legitimate exercise bla bla bla. Talk about intimidation by display of force. Talk about waste of tax dollars. Now we have Homeland Security. Truth Department? To think a weapon protects anything is a lie. The ungodly religious institution made people believe a lie regarding weapons. That is why that guy bought the most destructive hand held weapon he could get his lightless hands on. Did he own any ammunition for his AK-47? Obviously, this patriot is simply exercising his God-mandated right to force someone to do something at gunpoint. Praise! Glory! Gods and Guns. Could there be a better combo!? This is clearly all due to our unheartlandishly-hued president who dares to use calm and reason rather than brute force. Only true men understand how important it is to own guns and terrorize little girls and women. A true patriot knows that you shoot first, aim later. It’s what makes conservatives and the GOP so awesome and godly. Don’t mess with an armed patriot. This guy was clearly in a well-regulated militia. The NRA will surely come to his defense while at the same time shaming his daughter for being such a lousy student. All A’s and 2 B’s? Pull an AK47 and do some parenting! Dang right! No. A weapon is as cold, and dead as the life it kills. That weapon teaches people to do what it is. People need to stop taking instructions from a weapon. Resist the devil, and he will flee from you. The devil wants to kill life. The devil through religious people wanted to kill the one who gave life. That is A K47, Not B K47. I drove through Waco last week and thought about the Branch Davidians. This guy looks like one. Your power of suggestion gives nothing that is good. What kind of screening would you propose….. If you think that you need an AK-47, you are mentally ill.